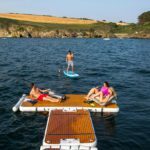 Nautibuoy have developed inflatable platforms that are the perfect solution on creating a great playground next to your yacht. 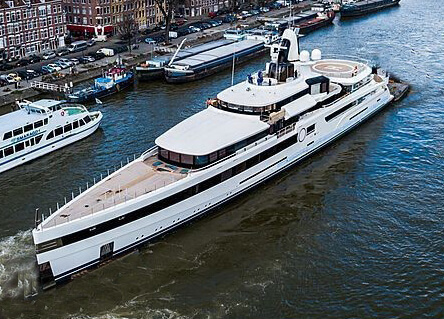 The Nautibuoy team have designed the products to their own needs after years of hands-on experience within the superyacht industry. 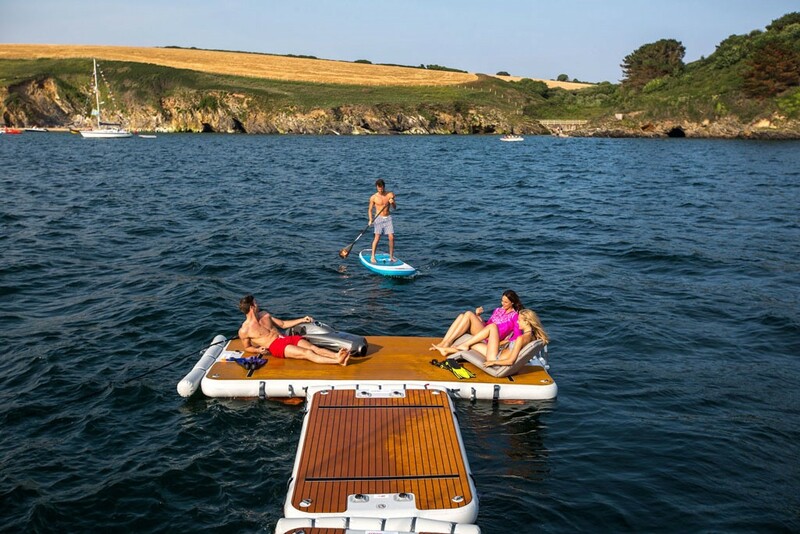 The Nautibuoy platforms creates a great place for good fun in the water with your friends and family. 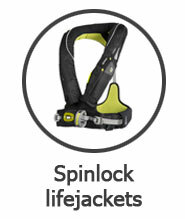 Perfect for enjoying your favorite sports like SUP, Yoga or jetskiing, or for sunbathing in a relaxed environment. 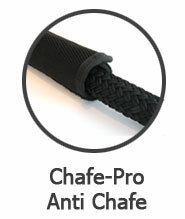 The platforms are high-quality and the most stylish in the segment with a unique modular system. 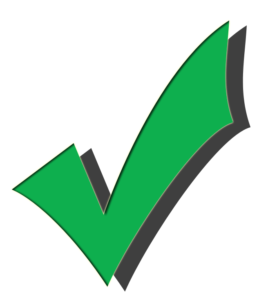 Every detail on the platform has been optimized, and absolutely no compromises have been made. 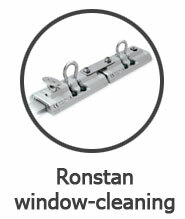 The platform is functional, esthetical and light-weight so easy to use. 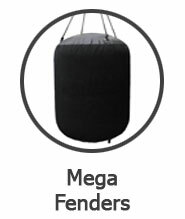 If you are looking for an easy way to expand your living space or to get the most out of your time on the water, this is the right product for you. 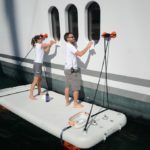 The Nautibuoy platforms are ideal for lounging, swimming or SUP paddling, but can also be used for cleaning the hull of your yacht. 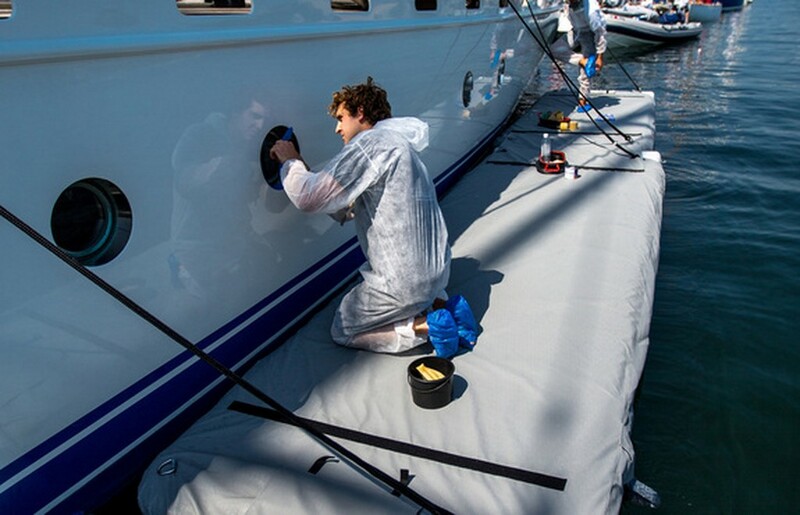 The optional cover and foldable buckets makes it the perftect tool for repairs on the hull whilst the yacht is in the water, or for cleaning or polishing the hull. 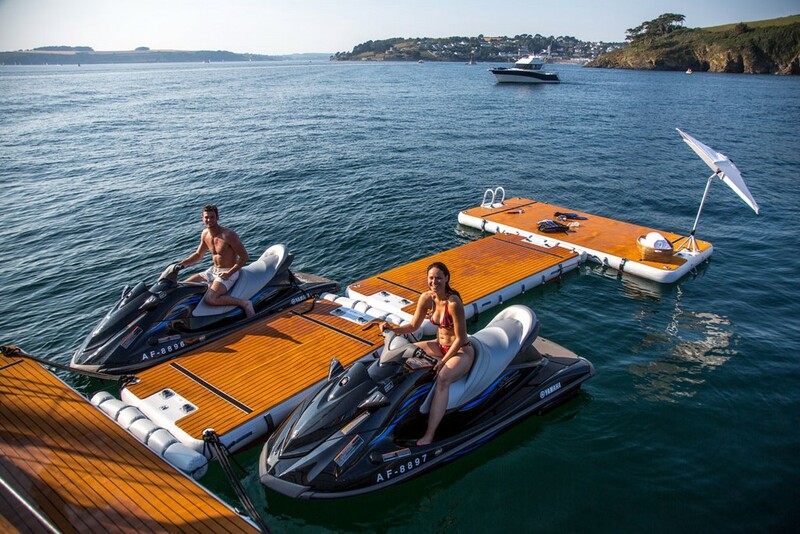 Using the Nautibuoy as jetski dock is great, it protects the yacht against damage of the jetski, specially when waves make it hard to moore the jetski to the yacht. 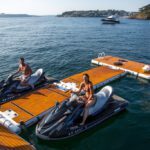 When using the Nautibuoy in T-style it is the perfect docking station for 2 jetskis. 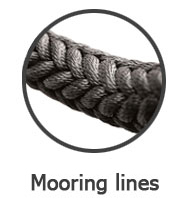 The core of the Nautibuoy platforms are very solid due to the strings inside that connect the top surface with the bottom surface. 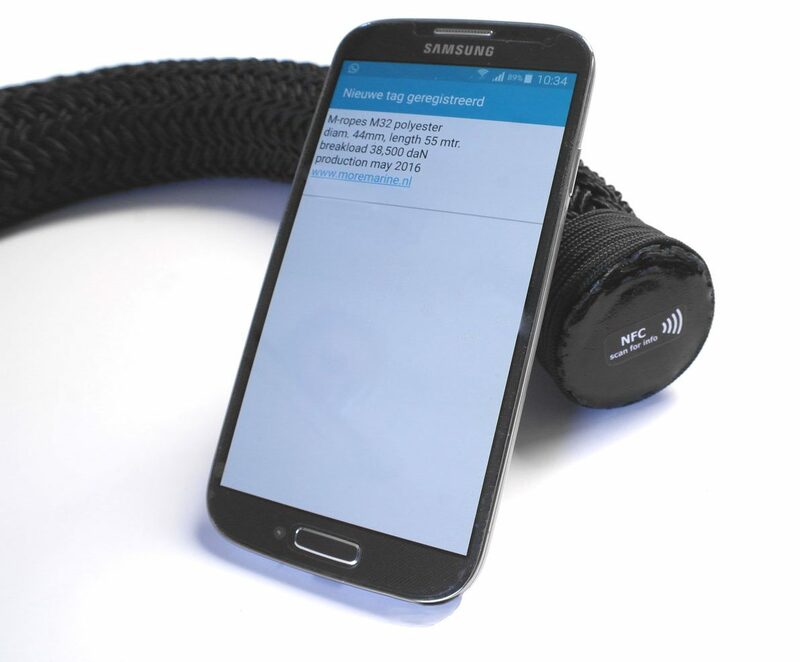 This makes the Nautibuoy very stable. Download the 2019 Nautibuoy brochure here. 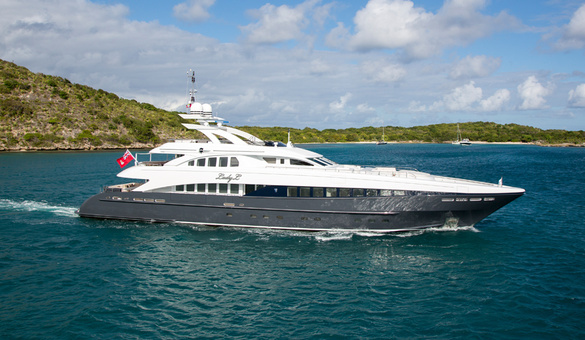 Optional packages including lounge seats make the platform a perfect extension of the lounge deck of your superyacht. Easy to dock and to enter the jetski or SUP boards. The top “teak” surface provides good grip and is soft. 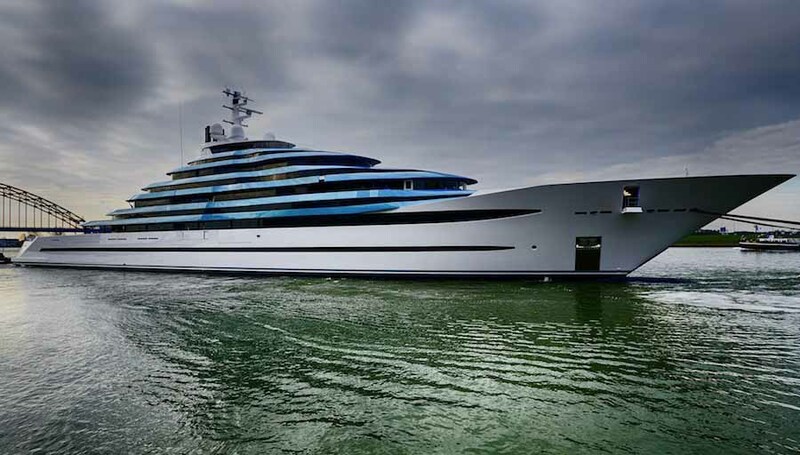 It gives the platform the perfect look and feel to fit the esthetics of your yacht. 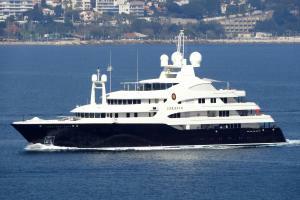 Cleaning the hull of your yacht is easy by using the cover and the extra tools to keep the platform close to the hull. 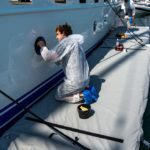 The diamond surface platforms are less luxury but ideal for cleaning and repairing purposes above waterline level on the yacht. 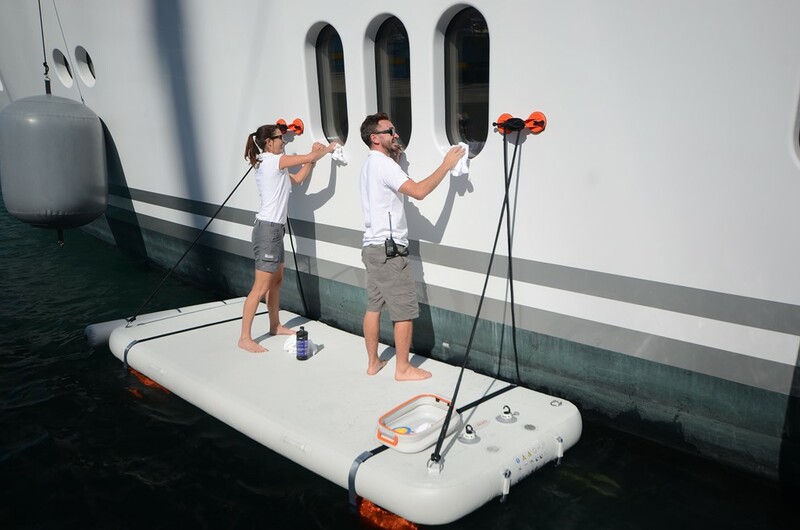 The Diamond surface platform is easy to clean and can also be singlehanded inflated in just 5 minutes. The velcro patches on the platform and on the tools make the tools stick to the platform so you will never loose any of it. Underneith the platform unique “water anchors” are designed in order to make the platform not only stiff and rigid but also stable in the water. Whilst pulling the platform out of the water, these anchors will be emptied automatically by pulling the webbing attached to the velcro. 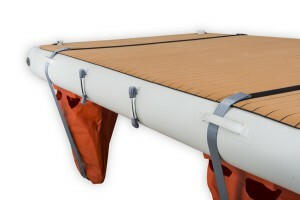 The Nautibuoy platform is easy to stow away once deflated. 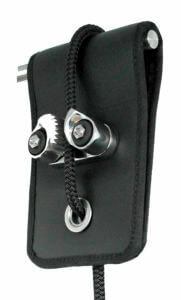 In practice it is being put under rib collars, in lazarettes or work lockers. 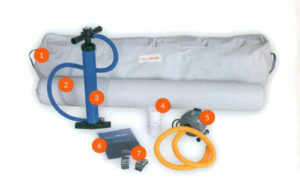 The package includes a seamless bag where the rolled up platform can be stored. 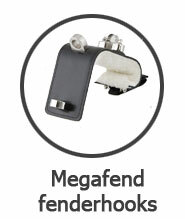 The smallest platform model 375 only weighs 25kg and takes about 1,5m x 30cm storage space. 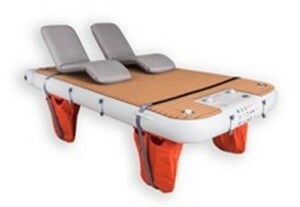 The 800 platform weighs 40kg and takes 2,2mx35cm storage space.